'Children of war' book was presented in London on May 9 by the Gift of Life charity foundation. A unique book collecting the diaries of 35 Soviet children written during the Second World War has been published in English. Children of war is a unique book that consists of the diaries written in the period 1941-1945 and chronicle the blockade of Leningrad, ghettos and concentration camps. They show the children’s view of life both in the occupied areas of Russia and behind the frontlines. More than half of the diaries are being published for the first time and are filled with terrifying and honest revelations speaking to the war experiences of millions of Soviet children. The Russian version of the book came out in the build-up to the 70th anniversary of the end of the war and is already available in all of the country’s regional libraries and museums, as well as all of Moscow’s schools. It will soon be distributed to all of the school libraries in Russia. The book was compiled and published by journalists from the weekly Argumenty i Fakty newspaper. The English edition has been supported by Sputnik News Agency and Radio. 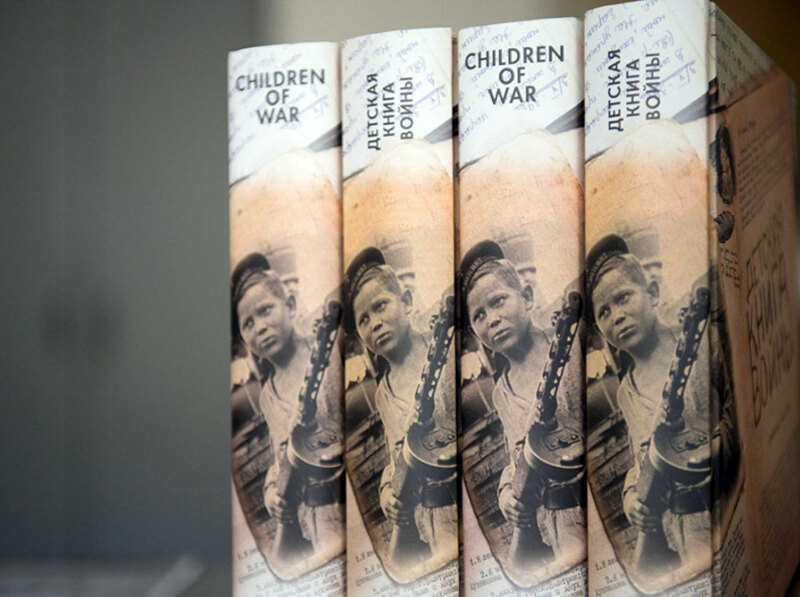 “We immediately sent copies of Children of war to the headquarters of the UN, UNICEF, UNESCO, the Simon Wiesenthal Center, the Library of Congress, the Bundestag and other international organizations,” explains Tatyana Kuznetsova, the book’s editor. The English edition was translated by Andrew Bromfield, who has previously produced acclaimed translations of Tolstoy, Bulgakov, the Strugatsky brothers and other Russian authors, with contributions from Rose France and Anthony Hippisley. Children of war will soon be sent to the world’s top 100 universities and the top media organizations in almost 200 countries. Russian ambassadors have already presented it to the heads of states in their respective countries.